Mesa Kahiko Robert M. Mondoy The original Hawaiian-style mass (in English), with the eucharistic acclamations in either echo-format or straight-through. Unmistakably Hawaiian, unusually easy and joyful. Moloka'i Mass Robert M. Mondoy The most "all-out" Hawaiian inculturation setting to date, employing both slack-key and "chalang-a-lang" music styles. Reflects the "local genius" of the church at prayer in Hawai`i. New for 2002 edition : Music for Baptism and RCIA in Hawaiian and English! (notes from Ha'ilono Mele Vol 5 No 6 June 1979, Daryl J. Millard): This hymnal, with its Latin title page, consists of Hawaiian hymns except for one Latin Marian anthem. This then is the earliest collection devoted almost entirely to Hawaiian hymns. Music notation is included for all 119 selections. A notable feature is the inclusion of 40 compositions by Father Medard Kaiser, SS.CC. Some of these are presented in the usual strophic form for two- to four-part coral arrangements, while a number give a more concert-style setting for bass soloist with a three- or four-part choral arrangement for the refrain or a concluding section. This composer was a priest of the Congregation of the Sacred Hearts and a musician of high standing in his native Germany. Probably the Hawaiian Texts were sent to him and he composed melodies for them. (notes from rob) As with many of these historical editions, the syllabically-set melodies are problematic, especially with accent-placement and diphthongs. The Hawaiian translations themselves are awkward in current Hawaiian linguistic sensibilities as they were authored by non-native speakers. (notes from Ha'ilono Mele Vol 5 No 6 June 1979, Daryl J. Millard): This title represents one of the three parts bound together as a volume of 608 pages. The other parts were �Ke Kanawai� (music theory and instruction exercises) and �Buke Akahi� (Volume One). with these Hawaiian texts (Damien Council of Honolulu, c. 1962), though it is not known if he translated from European texts also. as songs and anthems for today's use has been modestly successful. (notes from Ha'ilono Mele Vol 5 No 6 June 1979, Daryl J. Millard): Concerning the 1857 edition: This manual for Catholics contains a section of hymns entitled �He Mau Himeni� page 453; pages 515-600 of this section has hymns with Hawaiian texts and, for the most part, music notation. 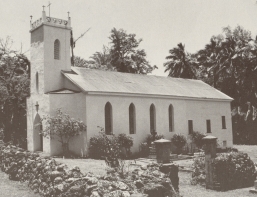 Only local copy from St. Patrick Monastery collection was given to the Hawaiʻi State archives some in mid 1980ʻs. 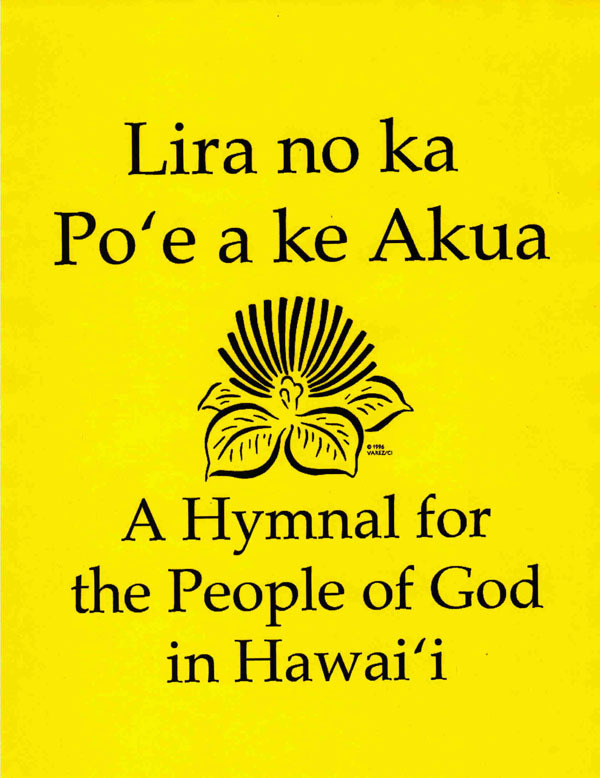 The latest edition of the well-known Hawaiian hymnal for the Congregational Church in Hawai`i finally released in 2001. Contains the "standards" familiar to users of the previous hymnal Na Himeni Haipule Hawai`i , and many new arrangements and translations were added. Contact the Hawai`i Conference United Church of Christ 15 Craigside Place Honolulu HI 97817 (808 537-9516 for information. This edition is dedicated to a dear friend, Martha Hohu, well known church musician and one of Hawai`i's dearest treasures. ....e hō mai ka maluhia. e aloha mai iā mākou. ....hāʻawi mai iā mākou ka maluhia. ....e hāʻawi mai i kou maluhia iā mākou. Manuale Katolika 1896: Aloha oe, E Maria, ua piha oe i ka maikai; ua noho pu ka Haku me oe; pomaikai oe iwaena o na wahine a pau, pomaikai Jesu ka hua o kou opu. Maria Saneta, Makuahine o ke Akua, e pule aku oe i ka Haku no makou no ka poe kina nui i keia manawa, a i ko makou manawa e make ai. Amen. Celebrate with the "local" church by incorporating this most accessible music. This music has been proven time and again to be extremely effective forms of musical prayer and praise.